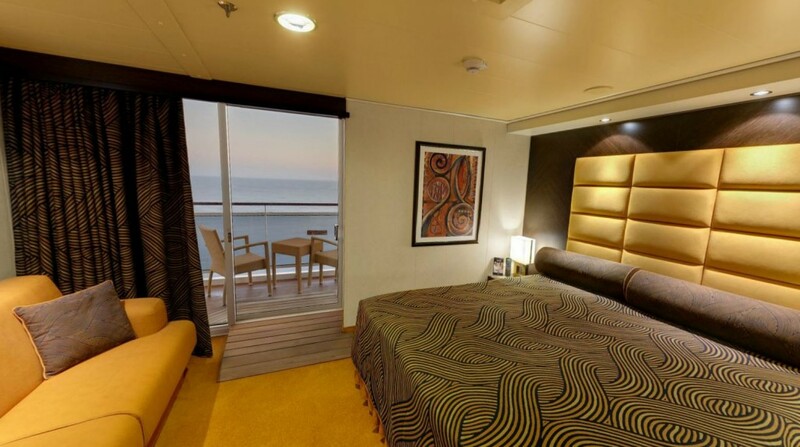 Since our visit to MSC Magnifica last year and the changes to the MSC Voyagers Club (with the introduction of a Loyalty Match Program) we have been tempted to book a cruise with MSC and get a taste of ‘Mediterranean style’ cruising. 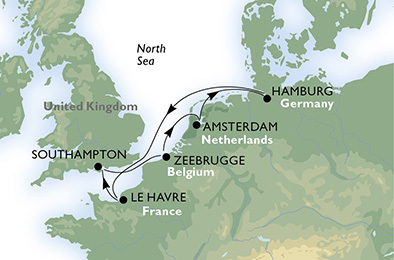 A few weeks ago MSC announced they were offering cruises with a departure in Belgium, which is a first for a major cruiseline. In September 2016 MSC Splendida will offer three 7-night roundtrip cruises departing in Zeebrugge and one 13-night cruise to Genua, Italy. 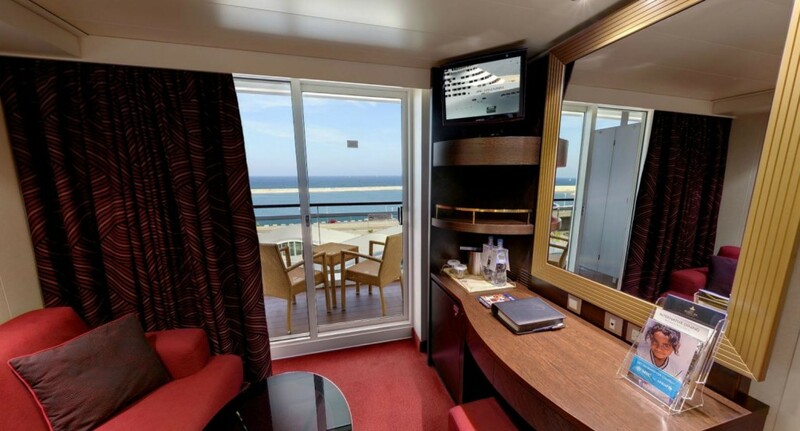 MSC was offering this cruise at a promotional rate so we immediately decided to jump on this opportunity and, together with a group of friends and relatives, booked our balcony cabins for the September 15 departure. A few days later we got our rooms assigned. 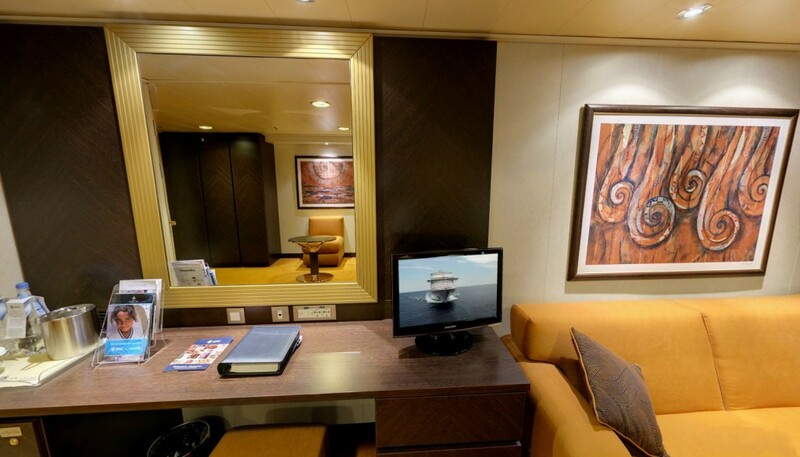 Curious about the location, and even more the interior of the cabins, we went online to check them out. 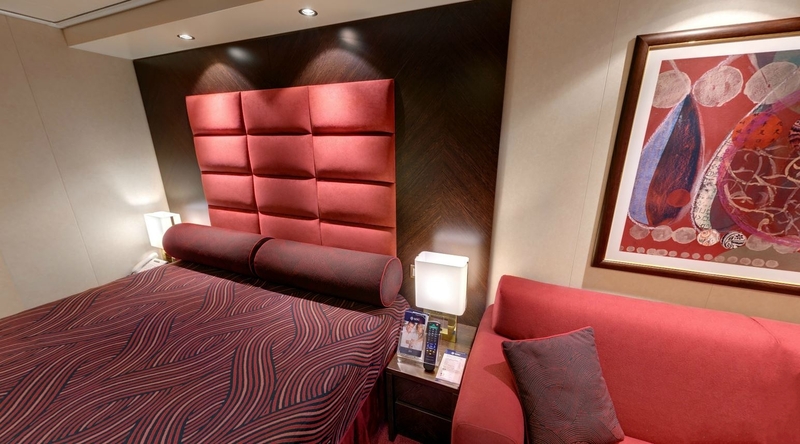 From the pictures on MSC’s website we can see that the cabins are decorated with shades of red and brown, giving the stateroom an overal warm feeling. The minimal use of gold and brass coloured elements adds a splash of luxury. 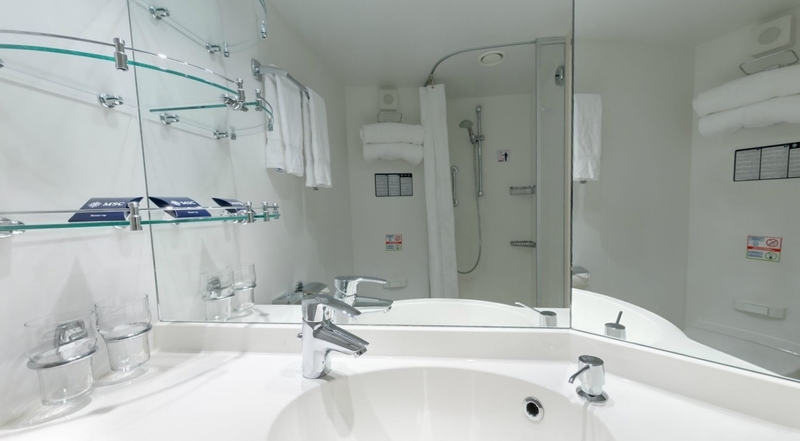 The bathrooms are in strong contrast to the cabins. In both cases they are disappointingly completely white.